Silvia Bächli (b. 1956, Bade, Switzerland) lives and works in Basel. Studied at Schule für Gestaltung Basel and Ecole supérieur d'art visuel Genève (1976–1980). She has held a position as Professor at Staatliche Akademie der Bildenden Künste Karlsruhe since 1992. Select solo exhibitions include Raffaella Cortese, Milano (2016); Skopia, Genève (2016); Peter Freeman Inc., New York (2016); Frac Franche-Comté, Besancon (2015); Barbara Gross, München (2014); Pinakothek der Moderne, München (2014); MK Gallery, Milton Keynes (2013); Kunstmuseum St.Gallen (2012); Kunsthalle Nürnberg (2011); 53. Biennale di Venezia, Schweizer Pavillion (2009); Centre Pompidou, Paris (2007); Museu de Arte Contemporanea de Serralves, Porto (2007); and mamco, Genève (2006). Tacita Dean (b. 1965, Canterbury, UK) lives and works in Berlin. Studied at Falmouth School of Art, UK, 1985-1988 and the Slade School of Fine Art, UK, 1990-1992. Recent solo exhibitions: …my English breath in foreign clouds, Marian Goodman Gallery, New York, US (2016); Event for a Stage, 52nd Theatertreffen, Berlin, Germany (2015); Tacita Dean: The Friar’s Doodle, Albright-Knox Art Gallery, New York, US (2014); Tacita Dean, SMK, Copenhagen, Sweden (2014); JG, Utah Museum of Fine Arts, Salt Lake City, Utah, US (2014); JG, Film Forum, New York, US (2014) and JG, Marian Goodman Gallery, Paris, France (2014). The Unilever Series: Tacita Dean,Tate Modern Turbine Hall (2011). Recent group exhibitions: Into Great Silence, Centro Andaluz de Arte Contemporáneo (CAAC), Sevilla, Spain (2015); The Problem of God, K21/Kunstsammlung Nordrhein-Westfalen, Dusseldorf, Germany (2015); Saltwater: a Theory of Thought Forms, 14th Istanbul Biennial, Istanbul (2015); Landskrona Foto Festival, Landskrona Museum, Sweden (2015) 2013 Il Palazzo Eciclopedico / The Encyclopedic Palace, Venice Biennale, Italy (2013); Unattained Landscape, The Japan Foundation, Fondazione Bevilacqua La Masa, Palazzetto. Venice, Italy; Documenta 13, Kassel, Germany. Tacita Dean is represented by Frith Street Gallery, London and Marian Goodman Gallery, New York/Paris. Marlene Dumas (b. 1953) is a South African artist and painter who lives and works in Amsterdam, the Netherlands. She attended Cape Town University (1972-75), where she studied for a BA in Visual Arts and completed her studies in Haarlem, in the Netherlands. She is widely regarded as one of the most influential female painters working today. In the past, Dumas produced paintings, collages, drawings, prints and installations. She now works mainly with oil on canvas and ink on paper. Stressing both the physical reality of the human body and its psychological value, Dumas tends to paint her subjects at the extreme fringes of life’s cycle, from birth to death, exploring the complex range of human emotions. Dumas has been the focus of exhibitions internationally at venues such as Tate Modern, London, UK, Stedelijk Museum, Amsterdam, The Netherlands (2014), Zachęta, Warsaw, Poland (2012), Fondazione Stelline, Milan, Italy (2012), Frith Street Gallery, London, UK (2011), Haus der Kunst, Munich, Germany (2010), Serralves Museum of Contemporary Art, Porto, Portugal (2010), MOCA, Los Angeles, California (2008), MOMA, New York, US (2008), Museum of Contemporary Art, Tokyo, Japan (2007), Iziko South African National Gallery, Cape Town, South Africa (2007), Kunsthalle Helsinki, Helsinki, Finland (2005), Musée National d’Art Moderne and Centre Pompidou, Paris, France (2001), ICA, Boston, Massachusetts, US (2001) and Tate Gallery, London, UK (1996). In 1995, she represented the Netherlands in the 46th Venice Biennale. Work by Dumas is in museum collections worldwide, including the Centre Georges Pompidou, Paris, Gemeentemuseum, The Hague, Los Angeles County Museum of Art, Museum of Contemporary Art, Tokyo, Museum für Moderne Kunst, Frankfurt, The Museum of Modern Art, New York, Stedelijk Museum, Amsterdam and Tate Gallery, London. Daniel Guzmán (b. 1964) was born in Mexico city where he lives and works. He studied in Mexico City at Escuela Nacional de Artes Plàsticas at Universidad Nacional Autónoma de México (UNAM) 1989-93). He is best known for his densely layered ink and pencil drawings. 'I play fiction and reality games that are personalized based on my own obsessions, like the meaning of life, love, disappointment, violence (whether sexual, emotional, or criminal), the search for happiness, and now that I am older, the quest for a kind of tranquility, silence, death'. Recent solo shows include: Museum of Contemporary Art, Oaxaca, Mexico (2012); El Sol de Mexico, Harris Lieberman, New York (2009); and Double Album: Daniel Guzmán and Steven Shearer, Curated by Richard Flood, New Museum, New York (2008). Recent group shows include: The Modern Art Museum of Worth, Texas, US (2013); My Generation, (group project by Daniel Guzmán), Kurimanzutto, Mexico (2009); Life on Mars: 55th Carnegie International, Carnegie Museum of Art, Pittsburgh (2008); 5th Berlin Biennial, Berlin (2008); Sympathy for the Devil: Art and Rock and Roll Since 1976, Museum of Contemporary Art, North Miami; Museum of Contemporary Art, Chicago; Musée d´art contemporain de Montréal, Montreal (2007-2009); Turin Triennial, Turin, (2005); and The Everyday Altered, Curated by Gabriel Orzoco, Venice Biennale (2003). Guzmán's work is in museum collections worldwide, including Jumex Collection, Mexico; Musée National d'Art Moderne, Paris; Centre Georges Pompidou, Paris; and MOCA, Los Angeles. He is represented by Kurimanzutto, Mexico City and by Stephen Friedman Gallery, London. Trenton Doyle Hancock (b. 1974, Oklahoma City, Oklahoma) currently lives and works in Houston, TX. Hancock received his M.F.A. Tyler School of Art, Temple University, Philadelphia, Pennsylvania, 2000; B.F.A. Texas A&M University, Commerce, TX,1997; Associate of Science, Paris Junior College, Paris, TX,1994. Selected solo exhibitions include: 2009 Trenton Doyle Hancock, Olympic Sculpture Park, Seattle Art Museum, Seattle, WA; Trenton Doyle Hancock, Dunn and Brown Contemporary, Dallas, TX; 2008 FEAR, James Cohan Gallery, New York; Trenton Doyle Hancock, Galleria Marabini, Bologna, Italy; Institute for Contemporary Art at the University of Pennsylvania, Philadelphia, PA. Group exhibitions: 2010 Best Laid Plans, Drawing Room, London; 2008 Prospect , New Orleans Biennial, New Orleans, LA; Wunderkammer: A Century of Curiosities, Museum of Modern Art, New York, NY; Darger-ism: Contemporary Artists and Henry Darger, American Folk Art Museum, New York. Arturo Herrera (b. 1959, Caracas, Venezuela) currently lives and works in Berlin. He studied at the University of Tulsa and the University of Illinois at Chicago. Utilizing fragments of imagery borrowed from popular culture, Herrera creates collages, felt sculptures, and wall paintings that lie on the shifting border between legibility and abstraction. He has exhibited widely in galleries and museums throughout the United States and Europe. Recent solo exhibitions have been staged at the Linda Pace Foundation in San Antonio; Corbett vs. Dempsey in Chicago; at Thomas Dane Gallery in London in 2012; and at the Americas Society in New York in 2011. William Kentridge (b.1955, Johannesburg, SA) lives and works in Johannesburg, SA. Studied BA Politics and African Studies at University of Witwatersrand (1973-6); Art at the Johannesburg Art Foundation (1976-8); and Mime and Theatre at Ecole Jacques Lecoq , Paris (1981-2). Founding member of the Free Filmmakers Cooperative, Johannesburg (1988). Internationally acclaimed for his drawings, films, theatre and opera productions, his practice is born out of a cross-fertilisation between mediums and genres. Kentridge’s work responds to the legacies of colonialism and apartheid, within the context of South Africa's socio-political landscape. His aesthetics are drawn from the medium of film’s own history, from stop-motion animation to early special effects. Kentridge’s drawing, specifically the dynamism of an erased and redrawn mark, is an integral part of his expanded animation and filmmaking practice, where the meanings of his films are developed during the process of their making. Select solo exhibitions include What Will Come, Video installation, Newark Museum, Newark, UK (2017); William Kentridge; Thick Time, Whitechapel Gallery, London, UK (2016); Triumphs, Laments and other Processions, Lia Rumma, Milan, IT (2016); William Kentridge: The Nose Series, David Krut Projects, New York, Us (2016); William Kentridge: Drawings for Lulu, Marian Goodman Gallery, New York, US (2015); Refuse the Hour, BAM, Brooklyn, US (2015); More Sweetly Play the Dance, Marian Goodman Gallery, London UK (2015); If We Ever Get to Heaven, EYE Film Institute Netherlands, Amsterdam, NL (2015); Drawings: East Rand Proprietary Mines Cash Book, Goodman Gallery, Johannesburg, South Africa, ZA (2014); and Sketches for a Neapolitan Mosaic, Lia Rumma, Napoli, IT (2012). Select group exhibitions include Creative Fury Joanna Bryant & Julian Page, London, UK (2016); Unnatural Landscapes David Krut Projects, New York, US (2016); Mantegna- DKW Prints David Krut Projects, New York, US (2016); Art on Stage MAXXI, Museum of 21st Century Art, Fundación Proa, Buenos Aires, ES (2016); and Illumination Louisiana Museum of Modern Art, Humlebaek, DK (2016). Career highlights include appointment as an Honorary Academician of the Royal Academy, London (2015). His work is held in public collections including ESSL MUSEUM – KUNST DER GEGENWART, Klosterneuburg, Austria; Thyssen-Bornemisza Art Contemporary, Vienna, Austria; Berardo Museum, Collection of Modern and Contemporary Art, Lisbon, Portugal; Hiscox Art Projects, London, UK; Royal College of Art Galleries, London, UK; Tate Britain, London, UK; Southampton City Art Gallery, Southampton, UK; MOCA Grand Avenue, Los Angeles, CA, USA; MoMA, New York City, NY, USA; and SFMOMA, San Francisco, CA, USA. Born 1972, Scotland. Lives and works in London. For further information please contact Drawing Room. Mark Manders (b. 1968, Volkel, the Netherlands) lives and works in Ronse, Belgium. Manders had won sveral prizes including: Heineken Prize for Art (2010); Philip Morris Art Prize (2002); Vordemberge-Gildewart Prijs (2002); and Fondazione Sandretto Re Rebaudengo per l'Arte (1997). Selected solo exhibitions include shows at: Centro Galego de Arte Contemporanea, Santiago de Compostela, Spain (2014); Zeno X Gallery, Antwerp (2014); Collezione Maramotti, Reggio Emillia (2014); De Vleeshal, Middelburg (2014); 55th Venice Biennale, Dutch Paviljon, Venice (2013); Carré d'Art - Musée d'art contemporain de Nîmes (2012); Dallas Museum of Art, Dallas, TX (2012); The Walker Art Center, Minneapolis, MN (2011); The Douglas Hyde Gallery, Dublin (2011); La Casa Luis Barragán, Mexico City (2011); Carrillo Gil Museum of Art, Mexico City (2011); UCLA Hammer Museum, Los Angeles, CA (2010); Jarla Partilager, Stockholm (2010); Zeno X Gallery, Antwerp (2010); Tanya Bonakdar Gallery, New York (2009); Kunsthaus Zürich (2009); SMAK, Gent (2008); and Bergen Kunsthall, Bergen (2008). Manders has work in many collections, including: The Philadelphia Museum of Art, The Museum of Modern Art, New York, Guggenheim Museum, New York, SF MoMA, The Art Institute of Chicago, Domus Collection, Beijing, S.M.A.K., Gent, Belgium, Kunstmuseum Bonn, Bonn, Germany, Magasin 3, Stockholm, Sweden, The David Roberts Art Foundation, London, and The Irish Museum of Modern Art, Dublin. He is represented by Zeno X Gallery, Antwerp and Tanya Bondakdar Gallery, NY. Julie Mehretu​ (b. 1970, Addis Ababa) lives and works in New York. Graduated from Rhode Island School of Design (1997); Kalamazoo College (1992); and University Cheikh Anta Diop (1990). Awards include the Barnett and Annalee Newman Award (2013); and the US State Department's National Medal of Arts (2015). Select solo exhibitions include Drawings and Monotypes, Kettle's Yard, Cambridge (2019); SEXTANT, White Cube, London (2018); A Universal History of Everything and Nothing, Serralves Museum, Porto and Centro Botin, Santander (2016 -17); Julie Mehretu, Hoodnyx, Voodoo and Stelae, Marian Goodman Gallery, New York (2016); Gebre Kristos Desta Center, Addis Ababa (2016); Julie Mehretu, Myriads Only By Dark, Gemini G.E.L at Joni Moisant Weyl, New York (2015); The Mathematics of Droves, White Cube, São Paulo (2014); Julie Mehretu, Half a Shadow, CarlierI gebauer, Berlin (2014); Grey Area, Solomon R. Guggenheim Museum, New York (2010); Grey Area, Deutsche Guggenheim, Berlin (2009); and Black City, Louisiana Museum of Modern Art, Humlebaek (2007). 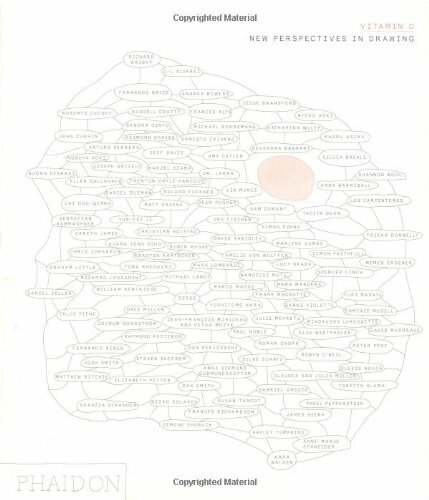 Select group exhibitions include Julie Mehretu, Jessica Rankin, Museum Dhondt-Dhaenens, Sint-Martens-Latem (2016); L’Iris de Lucy, Musée départemental d’art contemporain de Rochechouart, Rochechouart (2016); Lines of Thought, Drawing from Michelangelo to Now, RISM Museum, Providence and touring (2016); Sharjah Biennial 12, United Arab Emirates (2015); Sweet Dew, Since 1980, Gwangju Biennale, Gwangju (2014); The Forever Now, Contemporary Painting in an Atemporal World, Museum of Modern Art, New York (2014); Seeking New Genealogy, Art, Body, Performance, Museum of Contemporary Art, Tokyo (2014); More Light, 5th Moscow Biennale of Contemporary Art, Moscow (2013); dOCUMENTA (13), Kassel (2012); and From Picasso to Julie Mehretu, British Museum, London (2010). David Musgrave (b.1973, Stockton-on-Tees) lives and works in London. Studied at Chelsea College of Art and Design, where he now teaches. Musgrave was a finalist for the Prix Canson in 2015. His digital animation Studio golem was broadcast on Channel 4 in the United Kingdom (2013). He is the author of two novels: Unit, published by LemonMelon (2015); and Total Abstraction, shortlisted for the Fitzcarraldo Editions Novel Prize (2018). Select institutional exhibitions include Good Grief, Charlie Brown!, Somerset House, London (2018-19); The Policeman's Beard is Half Constructed, Bonner Kunstverein, Bonn (2017); Space Force Construction, V-A-C Foundation, Venice (2017); Being Thing, CIAP, île de Vassivière, Beaumont du-Lac (2015); The Noing Uv It, Kunsthalle Bergen, Bergen (2015); Être Chose, CIAP Île de Vassivière, Beaumont-du-Lac (2015); and The Universal Addressability of Dumb Things, Bluecoat Gallery, Liverpool, and touring (2013). Select solo exhibitions include greengrassi, London (2018, 2016); Luhring Augustine, New York (2014); and Marc Foxx, Los Angeles (2015). His work is held in public collections including the Museum of Modern Art, New York; The Metropolitan Museum of Art, New York; the Hammer Museum, Los Angeles; the Dallas Museum of Art, Dallas; the Rhode Island School of Design, Providence; and Tate, London. Paul Noble (b. 1963, Northumberland) lives and works in London. Graduated from Humberside College of Higher Education, Hull (1986) and Sunderland Polytechnic, Sunderland (1983). Noble was nominated for the Turner Prize (2012) and was the recipient of the Paul Hamlyn Award (2000). Select solo exhibitions include Paul Noble: Open Shut, Musée des Beaux-Arts, La Chaux-de-Fonds (2018-19); Paul Noble, Gagosian, Geneva (2018); Paul Noble: New Works, Gagosian, San Francisco (2017); Paul Noble: Nobson, Museum Boijmans Van Beuningen, Rotterdam (2014); Paul Noble: The Gates, Gagosian Gallery, Athens (2013); Paul Noble: Marble Hall, Laing Art Gallery, Newcastle (2011); and Welcome to Nobson, Gagosian Gallery, London (2011). Select group exhibitions include Politics of Small Places (with Patrick Geddes), Cooper Gallery, University of Dundee, Dundee (2018); Drawing Biennial 2017, Drawing Room, London (2017); Drawing Now, Albertina, Vienna ​(2015); Body & Void: Echoes of Moore in Contemporary Art, Henry Moore Foundation, Leeds (2014); Turner Prize Exhibition, Tate Britain, London (2012); Does City/Munster Matter?, Centre of Contemporary Art, Münster (2010); and Rude Britannia, Tate Britain, London (2010). His work is held in public and private collections including The British Council, London; Tate Britain, London; and FRAC des Pays de la Loire, Carquefou. Raymond Pettibon (b. 1957, Tuscon, Arizona) is an American artist who lives and works in Los Angeles. He completed his BFA at UCLA in 1977. As a young graduate he worked as a maths teacher before embarking on an artistic career, designing album covers for Black Flag and becoming associated with the Los Angeles Punk scene. Using the comic-book format of images with text, he began his career creating photocopied fanzines.Pettibon has exhibited extensively. In recent years, major solo shows have included Whuytuyp, Kunstmuseum Luzern, Lucerne, Switzerland (2012); v-boom, Kestnergesellschaft, Hannover, Germany (2007); and those at Kunsthalle Wien, Vienna, (2006), the Whitney Museum of American Art, New York (2005), and Plots Laid Thick, Museu D’art Contemporani de Barcelona, Spain, 2002 (travelling to Tokyo Opera City Art Gallery, Tokyo, and GEM, Museum Voor Actuele Kunst, The Hague, The Netherlands). Earlier retrospectives of his work have been taken place at the Philadelphia Museum of Art (1999), the Museum of Contemporary Art, Los Angeles (1999), and the Santa Monica Museum of Art (2000). His work has featured in numerous group exhibitions including ones at the Museum of Modern Art, New York; the Museum of Contemporary Art, Los Angeles; Kunsthaus Zurich; and White Columns, New York. He has also participated in the Whitney Biennial (1993, 2002), documenta XI (2002) in the Kassel and the Liverpool Biennials (2010). Pettibon’s work is included in the collections of many museums and institutions worldwide, among them the Armand Hammer Museum, Los Angeles; The Art Institute of Chicago; the Ellipse Foundation Contemporary Art Collection, Lisbon; Museum of Contemporary Art, Los Angeles; Tate Modern, London; Whitney Museum of American Art, New York, and Centre Pompidou, Paris. In 2010, Pettibon received the prestigious Oskar Kokoschka prize. The artist is represented by Sadie Coles HQ, London; Regen Projects, Los Angeles; and David Zwirner Gallery, New York. Silke Schatz (b.1967, Celle, Germany) lives and works in Cologne. She studied at Hochschule für Bildende Künste Braunschweig and the School of Art Institute, Chicago. Selected solo exhibtioins include: Sunshine Day and Night, Neuer Kunstverein Wuppertal, Wuppertal (2013); Extra Langenhagen, Kunstverein Langenhagenand and Kapelle im Eichenpark, Langenhagen, Germany (2012); Space Drawings (with Caroline Beyer), Kunstmuseum Mülheim an der Ruhr, Germany (2012); ''I love Psycho'', Meyer-Riegger, Berlin (2011); Städtische Galerie Kubus, Hannover (2010); and St John For Augsburg, Wilkinson Gallery, London (2009). Selected group exhibtions include: Schauplatz Stadt, Kunstmuseum Mulheim an der Ruhr, Germany (2013); AN_Eignungen, Kunstverein Langenhagen, Germany (2012); Only paper and yet the whole world…, Staatsgalerie, Stuttgart (2010); Art Special, Hansa, Gymnasium, Cologne (2010); Imperium Konflikt Mythos, 2000 Jahre Varusschlacht, Lippisches Landesmuseum Detmold (with Anselm Kiefer) (2009); Biennial 2009, Drawing Room, London (2009); Aesthetic Complex, Kunstverein Augsburg, Germany (2008); Re-collecting, Raub- und Restitution, Museum fuer Angewandte Kunst (MAK) , Wien (2008); Wessen Geschichte, Kunstverein Hamburg (2008); On Interchange, Zwischenspiele einer Sammlung, Museum Kurhaus Kleve und Sammlung Mataré, Germany (2008); Vertrautes Terrain, ZKM, Museum für Neue Kunst, Karlsruhe (2008); Deutschland, Deutschland, Museum van Bommel van Dam, Venlo NL (2008); and Drawing On Space, Drawing Room (2002). Shahzia Sikander is a Pakistani-born, internationally recognized, visual artist whose pioneering practice examines historical Indo-Persian miniature painting, challenging the strict formal tropes of miniature painting as well as its medium-based restrictions by experimenting with scale and media. Such media include animation, video, mural, mosaic andcollaboration with other artists. Her process-based work is concerned with examining the forces at stake in contested cultural and political histories. Informed by South Asian, American, Feminist and Muslim perspectives, Sikander has developed a unique, critically charged approach to this time-honored medium, employing its continuous capacity for reinvention to interrogate ideas of language, trade and empire, and migration. Sikander’s breakthrough, The Scroll (1989-90), received national critical acclaim in Pakistan, subsequently launching the medium into the forefront of National College of Arts’ program, and bringing international recognition to this medium within contemporary art practices. Sikander has been the subject of major international exhibitions around the world, including, amongst others, MAXXI | Museo nazionale delle arti del XXI secolo, Rome (2016-17); Asia Society Hong Kong Center, Hong Kong (2016); the Guggenheim Museum, Bilbao (2015); Bildmuseet Umea, Sweden (2014); Linda Pace Foundation, San Antonio, Texas (2012-13); IKON, Birmingham (2008); Museum of Contemporary Art, Sydney (2007); Irish Museum of Modern Art, Dublin (2007); The San Diego Museum of Art, San Diego (2004); the Whitney Museum of American Art, Philip Morris/Altria Branch (2000); Hirshhorn Museum and Sculpture Garden (1999); Renaissance Society at the University of Chicago (1998); The Drawing Center (1997); The Whitney Biennal (1997); and has participated in more than 400 group shows and international art forums. Sikander has received numerous grants, fellowships and awards, including the Asia Society Award for Significant Contribution to Contemporary Art (2015), the U.S. Department of State National Medal of Arts Award (2012); Young Global Leader, World Economic Forum (2006– 11); DAAD (Berliner Künstlerprogramm, Deutscher Akademischer Austauschdienst), Berlin (2007–08); the John D. and Catherine T. MacArthur Foundation, MacArthur Fellowship (2006); Tamgha-e-Imtiaz (2005); the South Asian Women’s Creative Collective Achievement Award (1999); Shakir Ali Award (1992); and the Haji Sharif award for excellence in miniature painting (1992). Hayley Tompkins (b. 1971, Leighton Buzzard) lives and works in Glasgow. Graduated from the Glasgow School of Art (1998). Select solo exhibitions include Think I wanna drive your Benz (I don't), The Modern Institute, Glasgow (2018); Hayley Tompkins: Stick crystals to paintings, Bonner Kunstverein, Bonn (2018); Myth Cart, Jupiter Artland, Edinburgh (2016); Technicolor Hamburger, Drawing Room, Hamburg (2015); Space Kitchen, Andrew Kreps Gallery, New York (2014); House of Life, Cairn, Pittenweem (2012); A Piece Of Eight, The Modern Institute, Glasgow (2011); Autobuilding, Inverleith House, Royal Botanic Garden, Edinburgh (2009); Optical Research, Andrew Kreps Gallery, New York (2009); Salute to the Dataday, The Front Room, Contemporary Art Museum, St. Louis (2009); and Re, The Drawing Room / Tannery Arts, London (2008). Select group exhibitions include Fillette, Francesca Pia, Zurich (2018); Portrait (for a Screenplay) of Beth Harmon, Tenderpixel, London (2017); I still believe in miracles, Inverleith House, Edinburgh (2016); Walks and Displacements, Andrew Kreps Gallery, New York (2015); @ the shrink, Shanaynay, Paris (2014); Out Of Doors, Supplement Gallery, London (2013); Scotland + Venice 2013: Sworn / Campbell / Tompkins, Collateral Event of the 55th International Art Exhibition, Venice Biennale, Venice (2013); The Imminence of Poetics, Sao Paolo Biennale, Sao Paolo (2012); Painting Expanded, Tanya Bonakdar Gallery, New York (2011); Watercolour, Tate Britain, London (2011); Every Night I go to Sleep, Modern Art, London (2010); Ashes to Ashes, AMP, Athens (2010); Group Show, Autocenter, Berlin (2010); modern modern, Chelsea Art Museum, New York (2009); Zero Budget Biennale, Galerie Carlos Cardenas, Paris (2009); and Open Field, CCA, Glasgow (2008). Born 1966, Montreal, Canada. Lives and works in Berlin, Germany. For further information please contact The Drawing Room.